Gaultheria fragrantissima (Indian Winter Green, Gandapura) oil has anti-inflammatory and antiseptic properties. It is used in many liniments and is beneficial when applied locally in acute rheumatism, sciatica, etc. Mentha arvensis (Mint, Putiha) oil extract is an effective antineuralgic when applied externally. Ajamoda (Apium graveolens)oil is an ingredient in many ointments, liniments and lotions. 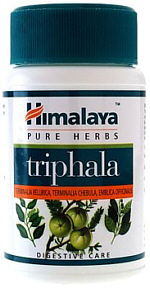 It is used for treating minor aches and pains when applied externally.